Light Up Orbit Orbit ø 3⅛"
There are 1 more products available in this line that are not in this category. Reduced to a minimum to offer the maximum. Technological solidity and application versatility. Light Up Orbit fills the space, recessing into floor, ground, wall and ceiling. Smart light systems that create dynamic, nocturnal scenarios. Five different technologies that offer no less than seven photometric breakdowns with excellent results. Highly focused effects or diffused washes to emphasize architectural or natural features. Reduced to a minimum to offer the maximum. Diffused light with a diffuser screen to help make general illumination more comfortable. 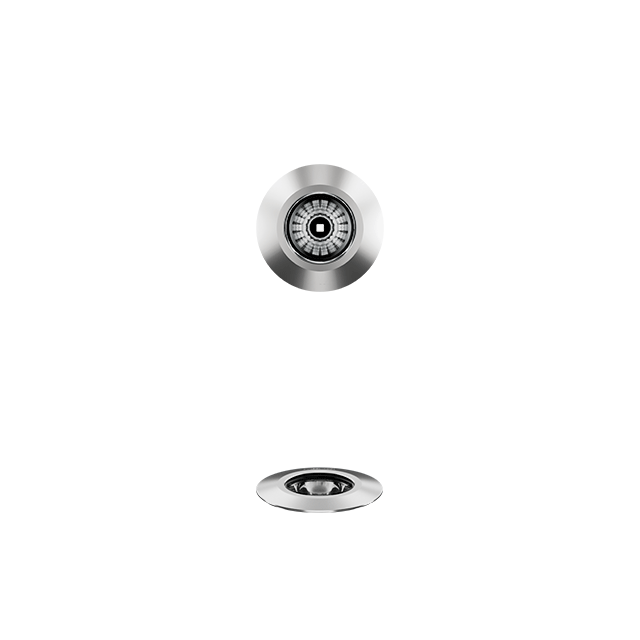 Vertical or horizontal excellence with a wall washer optic, even in reduced dimensions. Ideal for hospitality and living environments. Mechanical and electronic durability. Reliable even at extreme temperatures. Excellent colour quality and consistency. All in just a few millimetres.